Over the past year, Donald Trump has been able to channel the anxieties of a significant segment of the American public into a powerful political force. These public anxieties stem from growing concerns about the effects of globalization on the American economy and about the changing demographics of the United States. With his tough stances on immigration and trade, Trump has gained traction in the presidential race. But his views on important issues garner only minority support from the overall American public. believe that illegal immigrants in the United States should be forced to leave their jobs and the United States. do not support admitting Syrian refugees into the United States. think that international trade is bad for the US economy. CORE SUPPORTERS OF TRUMP ARE THOSE IN THE SURVEY SAMPLE WHO SAID THAT DONALD TRUMP WAS THEIR “TOP CHOICE FOR PRESIDENT” AMONG A LIST INCLUDING THE FOLLOWING CANDIDATES: HILLARY CLINTON, DONALD TRUMP, BERNIE SANDERS, JEB BUSH, TED CRUZ, AND JOHN KASICH. While Trump supporters are the most stridently opposed to immigration and are the least likely to support free trade today, these sentiments are not new. Nor are they the majority viewpoint among Americans, who generally support both immigration and trade. say that illegal immigrants currently working in the United States should be allowed to stay and pursue a path to citizenship. see immigration as a threat to the United States. say that globalization is mostly good for the United States. While Trump’s views on immigration and trade clearly resonate with his core supporters, some of his other criticisms of US foreign policy are less popular among his base. For example, core Trump supporters are somewhat more cautious than other Americans of alliances and an active US role in world affairs, but in most cases they continue to favor international engagement. 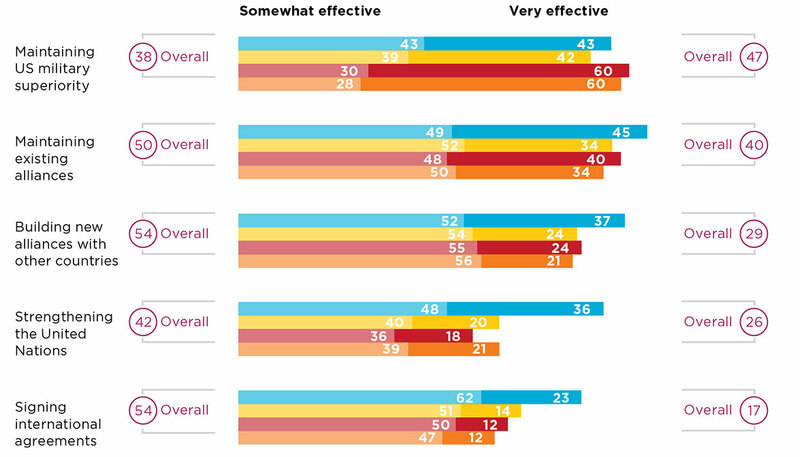 Despite divides on issues such as immigration and trade, the American public finds a great deal of common ground on American leadership in the world and how to achieve American goals. To learn more, download the full 2016 Chicago Council Survey. 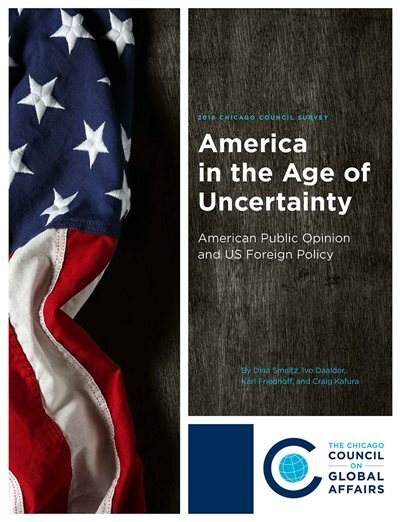 The Chicago Council Survey, conducted every four years since 1974, biennially since 2002, and now annually, is a trusted and widely cited source of longitudinal data on American public opinion about a broad range of US foreign policy and international issues. 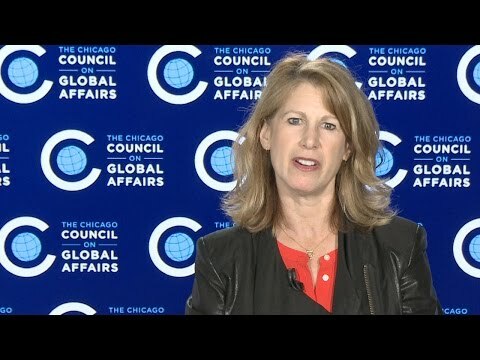 Learn more at thechicagocouncil.org.